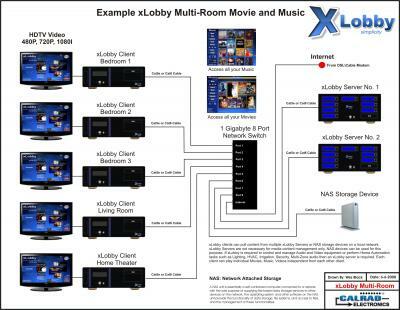 The image and Pdf file below shows how xLobby clients are connected to xLobby servers and to NAS devices on a network. 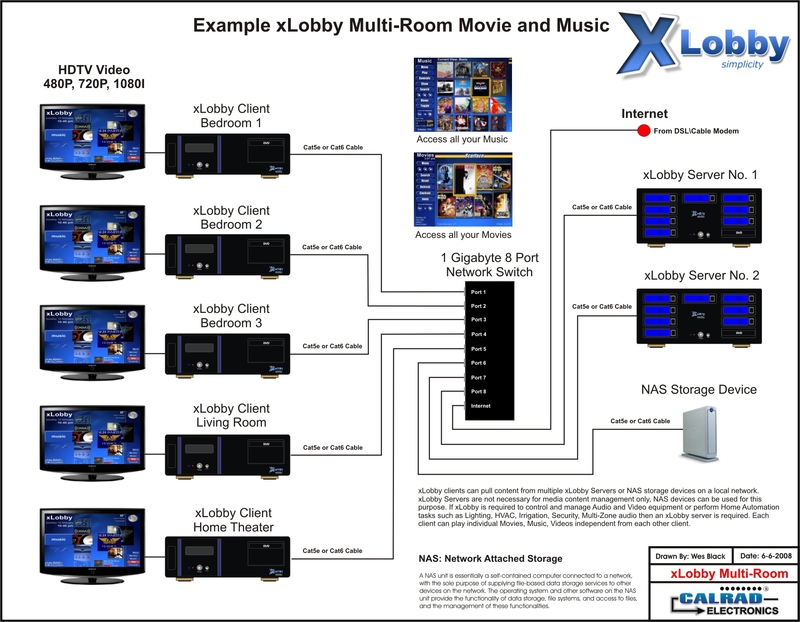 I will be posting more of these type of diagrams to show various setups and other configurations between different xLobby hardware. This entry was posted on Friday, June 6th, 2008 at 12:35 pm	and is filed under Uncategorized. You can follow any responses to this entry through the RSS 2.0 feed. Both comments and pings are currently closed.